While there are many local moving companies serving Atlanta, only Georgia Pack and Load stands out with years of experience and a reputation for superior services. We’ve been providing professional moving and packing services throughout the Atlanta area for more than a decade, and are proud to be a member of the Better Business Bureau. Plus, our moving company is fully licensed and insured through both the Federal Motor Carrier Safety Administration and the Department of Motor Vehicle Safety Administration. You can feel confident hiring Georgia Pack and Load to handle your Atlanta area move because we only employ professional, experienced movers and never hire contract laborers. We ensure that all our movers are expertly trained to safely transport items of all types, from delicate artwork and computer equipment to large furniture and televisions. Our truck drivers are also fully licensed and insured, and you can count on them to have your belongings at their new destination on time. We always provide guaranteed pick-up and delivery dates, and if we’re late for any reason at all, we’ll pay you $100 per each day we are delayed. So, whether you’re relocating your Atlanta business to a larger building in the same area, or you’re leaving Atlanta to move overseas for a new job opportunity, you can turn to Georgia Pack and Load for all your moving needs. 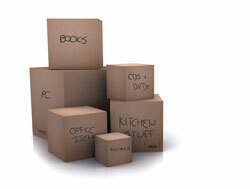 We’ll work hard to ensure that your move is as easy and stress-free as possible. To learn more about what sets us apart from other local home moving companies serving the Atlanta area, contact us today. Local Atlanta Moving Companies - Who Offers the Ideal Services for You? © Copyright. Georgia Pack and Load Moving and Storage, Inc.